Well, that would be me, mostly. There’s my ugly mug on the left side of the screen. Ok, I'll get a real picture eventually. 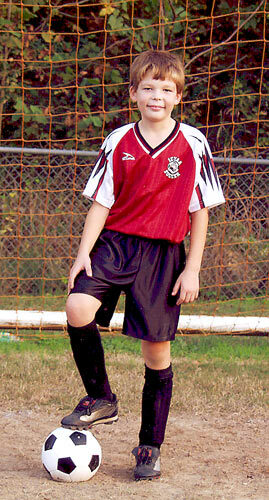 I first got involved in youth soccer in the Fall of 1999 when my oldest son, Dustin, began playing at the U-8 level. 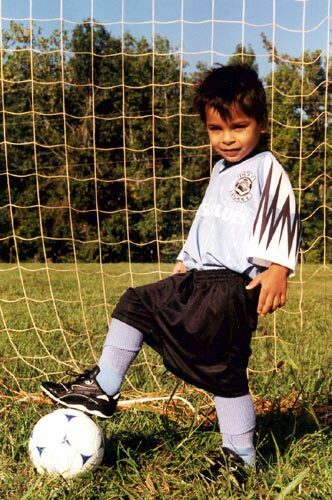 I had never played soccer, didn’t know the rules, didn’t know how to coach, and no one in the league seemed to care about educating the parents or coaches. Things have changed a lot in the past 5 years but I felt like there was still a big need for helping parents adapt to the game of soccer. Hopefully this website at least partially meets that need. As a chemical engineer by training, I naturally tend to take an organized, systematic approach to all activities. Generally this is a good thing, but I have learned that it is also important in the development of kids in soccer to allow them the freedom to think and play on their own within certain boundaries. In the Fall of 2002 I took a training course for soccer referees and became a certified level 8 referee. Becoming more familiar with the Laws of the Game is really important for coaches and parents and I highly recommend it. I took another big step in the Spring of 2004 and became registered (not exactly a certification) to referee high school soccer games. The competition and expected level of officiating is much higher, making it a more challenging environment. 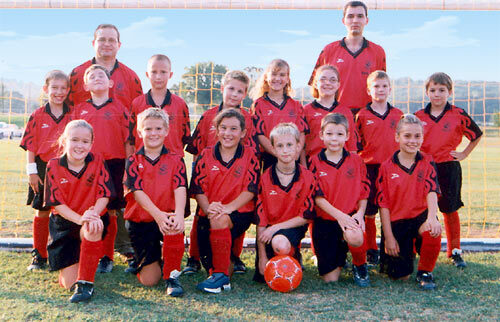 I coached (until Fall of 2004, when I moved) soccer as a volunteer with the IndependenceCounty Youth Athletic Association, or ICYAA for short. I have posted driving directions to the ICYAA soccer fields for those who need it. Really, there is no way to compare seasons and teams. Each team has been uniquely different. They have all had their strong points and weak points, good moments and bad. My oldest son, Dustin, is currently playing at the U-12 level. Daniel just started playing this year and is having a blast playing U-5 soccer. For email, use the contact form. In the Fall of 2004 we moved from Batesville, Arkansas to Kingsport, TN.